Top row (left to right): 1. Mr Balek, 2. Mr Woodworth, 3. unidentified, 4. Mitchell Cruit, 5. unidentified, 6. unidentified, 7. Amy Johnston, 8. Michael Cooley, 9. unidentified. Second row: 1. unidentified, 2. unidentified, 3. unidentified, 4. no picture, 5. no picture, 6. no picture, 7. Mike Hara, 8. unidentified, 9. unidentified. Third row: 1. unidentified, 2. no picture, 3. Sabrina Sharp, 4. unidentified, 5. Linda Baughman, 6. Victor Gede, 7. unidentified, 8. no picture, 9. unidentified. Fourth row: 1. unidentified, 2. Lana Moomau, 3. no picture, 4. Jim Kramer, 5. unidentified, 6. unidentified, 7. no picture, 8. unidentified, 9. unidentified. Fifth row: 1. Robin Lombard, 2. unidentified, 3. unidentified, 4. unidentified, 5. unidentified, 6. unidentified, 7. unidentified, 8. Thomas Huff, 9. unidentified. Credits: From the collection of the Lombard family. 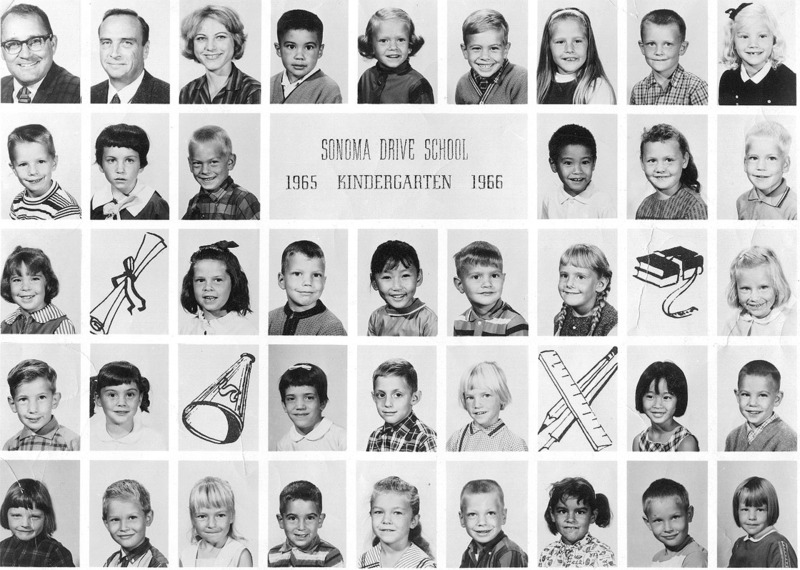 Thanks to Gina (Wood) Labonog, Paul Hara, and Michael Hara for identifying the kids in this picture.